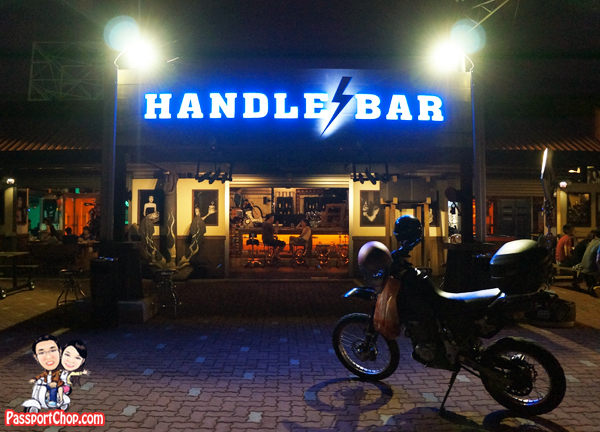 Located at Sembawang, Handlebar is a biker-themed restaurant/bar. 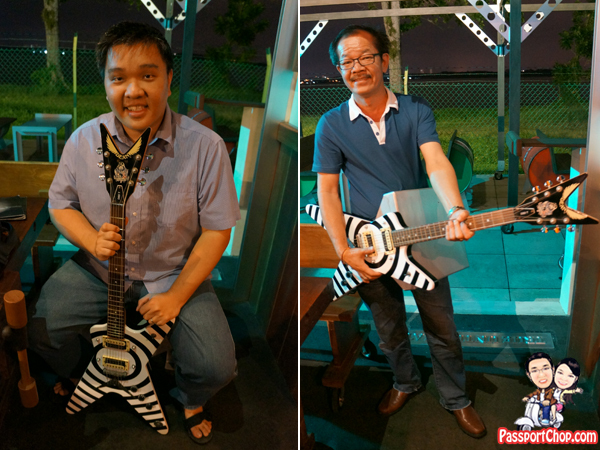 Getting to Handlebar is challenging if you do not have a car as it is located near PA Sembawang Water Venture Club accessible for a small road Jalan Mempurong. You can’t get as ulu as this – just drive towards the end of Sembawang Road and turn into Andrews Road where you will connect to Jalan Mempurong. 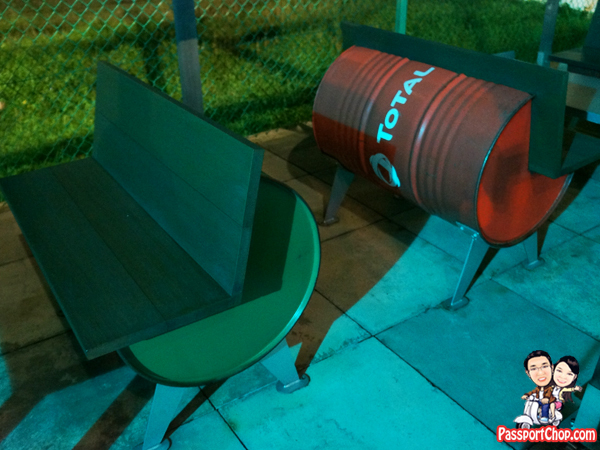 Outdoor dining is available where you can drive your motorbike right up to your table as well as indoor dining. Cars will have to be parked at the carpark outside. 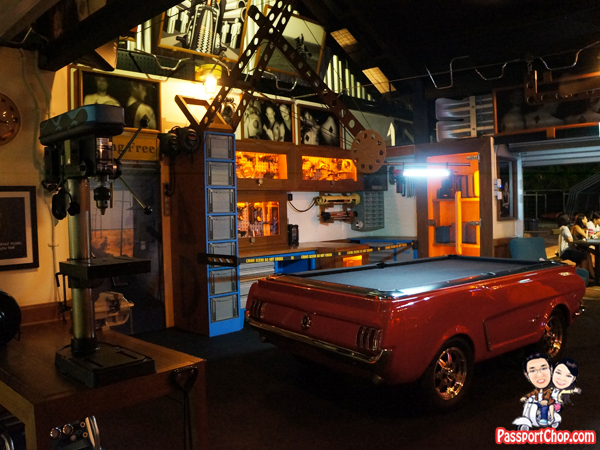 Handlebar’s indoor decor is very interesting – here you will find lots of modified car/motorbike parts adapted as chairs and even a pool table made from a car body – check out the pictures below for some examples. I loved the Vespa chairs (yes! these are bar stools!). 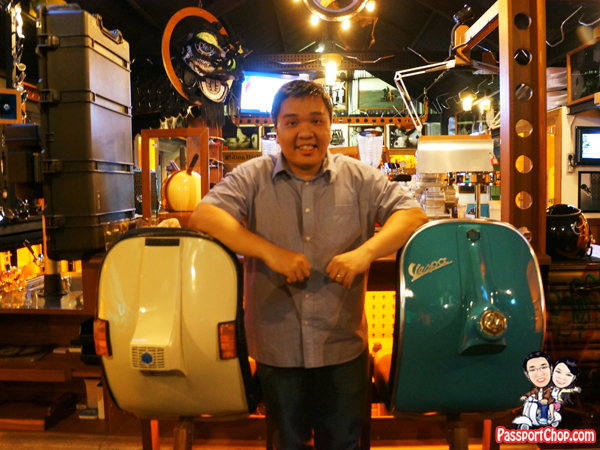 Unfortunately, photography of Handlebar’s interior is not allowed – I manage to take a few shots of the interesting motorbike-themed contraptions before being informed by the Handlebar staff of the no-photography rule. Handlebar’s menu is very attention-grabbing – right from the front cover of the buttock! to even the menu items e.g. 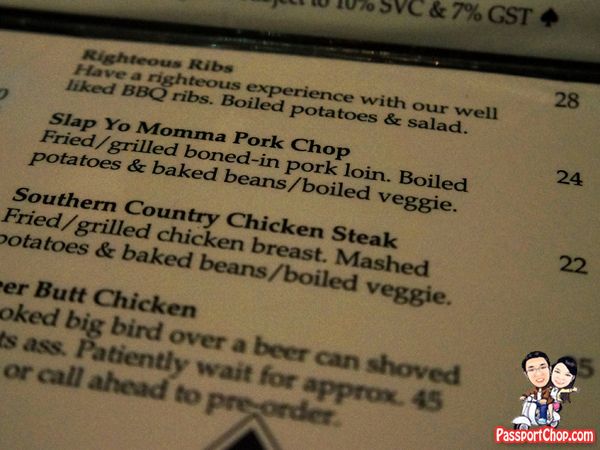 Slap Yo Momma Pork Chop! One of the highlights at Handlebar is the Cocaine Wings ($12) – these are BBQ hot wings (called cocaine wings because they are supposed to be addictive). 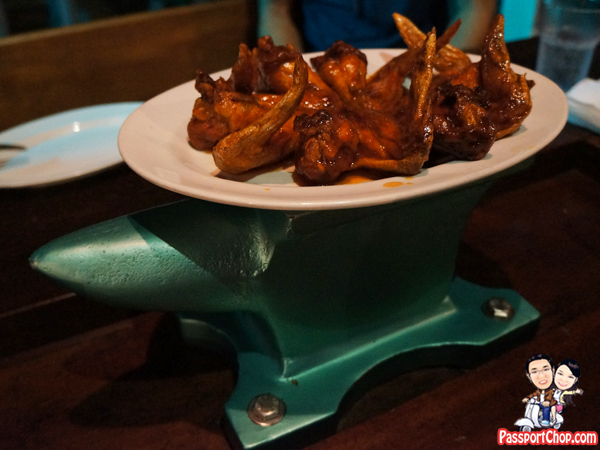 These wings come in low, medium or high heat in terms of spiciness. 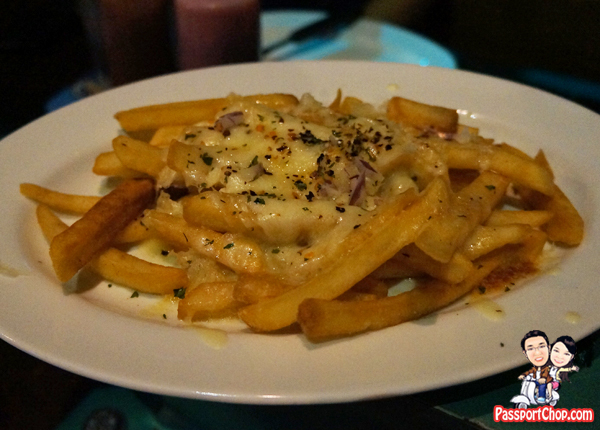 These are Cheese Fries ($10) – there is also a Chili Cheese Fries version ($14). 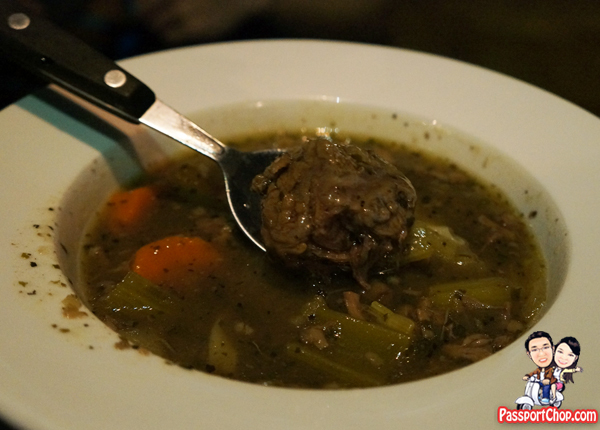 Horsepower Beef Stew ($16) – described in the menu as being hearty enough to carry you a thousand miles. It is served with egg pasta. 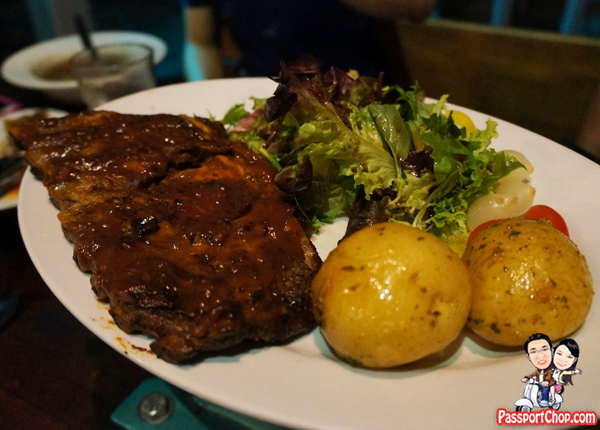 I recommend this dish – Righteous Ribs ($28) – these are BBQ ribs served with boiled potatoes and salad. 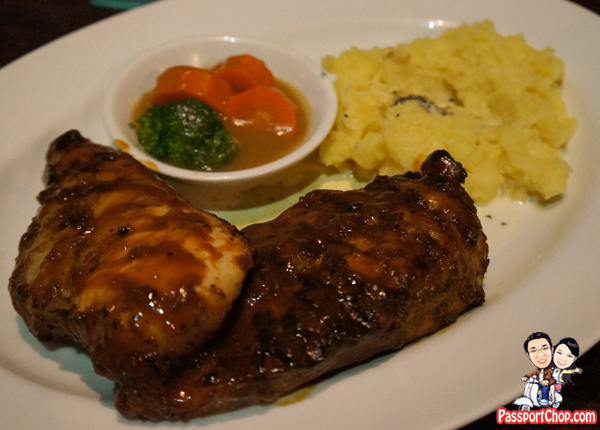 While the main courses at Handlebar are not cheap, the servings are actually quite big. The Southern Country Chicken Steak ($22) dish is made up of Fried/Grilled chicken breast and mashed potatoes & boiled veggie. The chicken breast meat was quite dry though. When making a reservation at Handlebar, request for one of the tables inside the restaurant – here you get to sit up close with Handlebar’s “decorations” e.g. the Ducati motorbike perched on top of one of the benches. 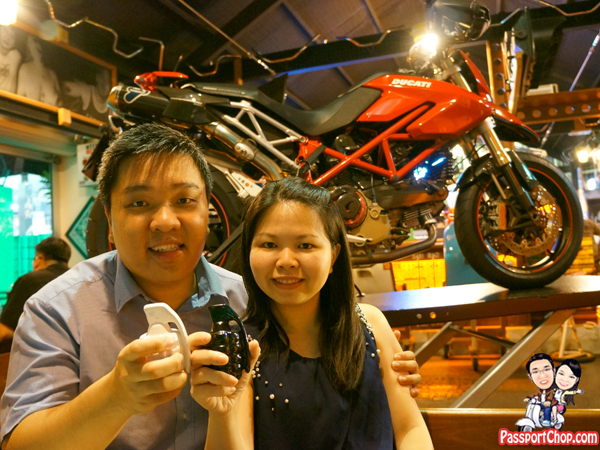 Look out for the “grenade” black and white salt and pepper shaker too! If you are looking for a cozy and quiet dinner with friends/family at Handlebar – check out the restaurant before 10pm. After 10pm, the bikers start coming in and Handlebar gets quite busy then.